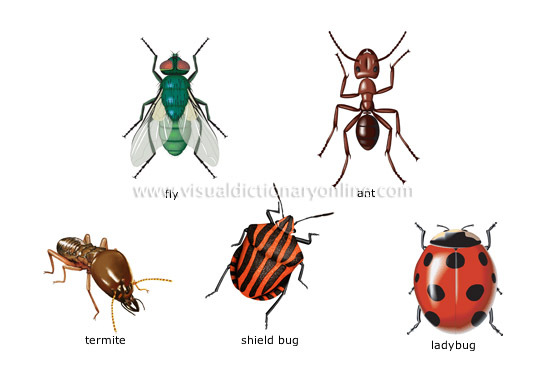 Write about insect: type, description, life. Add a picture. Bogomol have a length of one to sixteen centimeter. They have a green body, long legs and whiskers. Bogomol on the planet there are two thousand appearance. They eat frogs, spiders, lizards, birds and insects. Ladybugs have a red body with black dots. Length of one to twelve millimeters. They have eighty appearance and they live everywhere. Ladybugs eat aphids. They can fly. It lives on earth. It has eight legs. It lives from 5 to 10 months. It lives on earth. It has six legs. It lives from 1 week to 3 weeks. It flies by air. It has four legs. It lives from 1 week to 6 weeks. It flies by air.It has four legs. It lives from 1 week to 3 week. It flying insect. It very beautiful insect. It hav got two beautifal, multi-coloured wings. Butterfly life in the forest and garden. It list insect. It very small insect. It very important. Ant life in the forest. Hornets live in Europe, Siberia and Mongolia. They have yellow body with black stripes. Length of females from twenty-three to thirty-five millimeters and males are smaller. They have got wings. Adult hornets eat plants, nectars and fruit. Young eat insects. Cockroach or prusak – insect and it cannot fly. Leads the night life. Cockroach there are on planet for more than three hundred million years. Some cockroaches were found in amber. Cockroaches are everywhere now. They eat everything. They ten – sixteen centimeters in length. Cockroaches have a brown body and long whiskers. They can run Twenty-two centimeters in second.